We're almost definitely working on stuff! 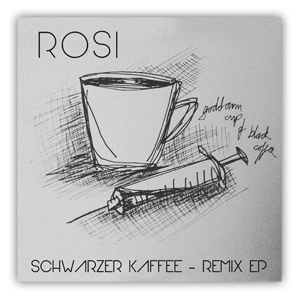 Seven artists took a shot at remixing Rosi's Schwarzer Kaffee from their LP Grey City Life (see below). You should absolutely check it out, like, totally! You can preorder the EP over at alternateaudio.bandcamp.com/album/schwarzer-kaffee-remix-ep. 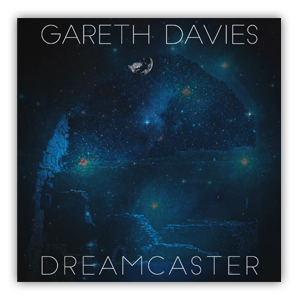 Gareth Davies' sonic journey continues on his third album: half melancholia, half dream and half sheer beauty, the Welshman's sublime mixture of guitar and voice truly is more than the sum of its parts. But it's also on iTunes and Spotify and all the other platforms. Absolutely convenient. Grey sounds, vintage atmosphere, a little dust, pictures of old tramways, clubs filled with smoke, grey city life – such are the impressions that Rosi’s music evokes. The Bielefeld-based project was founded in 2014 by Sven Rosenkötter and saw him join forces with Mirco Rappsilber in 2015 on guitar, bass and synthesizer. Their sound lies somewhere between post-punk, dark indie and wave, and mixes influences such as Bauhaus, Joy Division and Tuxedomoon. Their approach is reduced, raw, and authentic. The singles ‘Kaltes Land’ and ‘Tanzen’ herald the first full-length LP of the duo, ‘Grey City Life’: An album musically reflecting the metropolis’ colorless vibe, with guitar riffs pouring down like cold acid rain on the asphalt, vocals reminiscent of The Fall speaking of frozen laughter and lonely eyes, and bass pulsing with the steps on the streets of this sonic city. Distortions like nameless scars, the synths the fog, stark drums the march into the morrow. 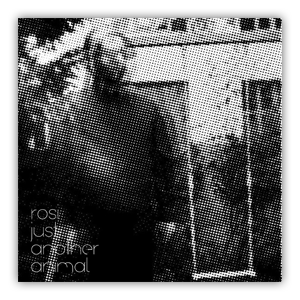 Rosi unites danceable wave tunes like ‘Film’ or ‘Schwarzer Kaffee’ with introspective and minimal pieces such as ‘Verloren’ and yet remain true to themselves. 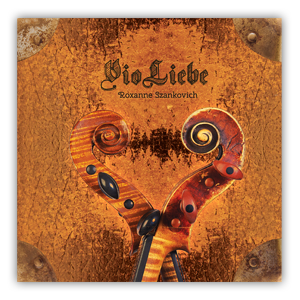 Each sound represents the lyrical quality; each note translates an emotion into music. The heavy bass in ‘Graue Stadt’ merges with the guitar, their coalescence only deepening the inescapability of this ice age in song. ‘Jeder’ radiates a leaden heaviness, the melancholic guitars trying to grasp something in the distance – hope, an illusion, a daydream shattered by the vocals. Guest singer Joana extends a velvet veil on the nocturnal ballad ‘Schlaf’, the elegiac closing track, whose unexpected strings summon the night. 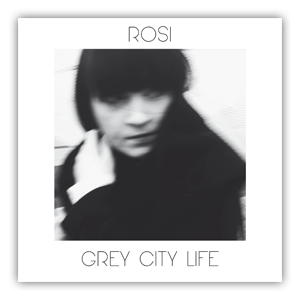 With ‘Grey City Life’ the two ‘brothers in spirit’ of Rosi have created a debut that’s dark and dirty like the soul-devouring metropolis. Ten tracks for silent screams, a sound that permeates the silence, and a color in something otherwise hopelessly grey. Available as limited vinyl edition, download and stream via alternateaudio.bandcamp.com/album/grey-city-life. 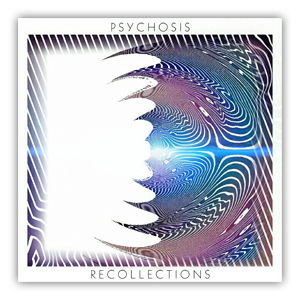 Deep journeys, soulful ambience and mesmerizing soundscapes await you on Psychosis' debut Recollections. You can download the album for free (or a small donation) at alternateaudio.bandcamp.com/album/recollections. 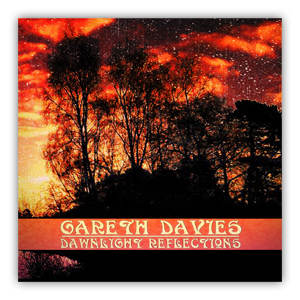 The magical mystical Welsh singer songwriter Gareth Davies presents his second album following the critically acclaimed The Spirit Garden, Dawnlight Reflections. You can download the digital album for free (or chip in whatever you feel like) and order the limited CD here: alternateaudio.bandcamp.com/album/dawnlight-reflections. The Australian one-woman choir of your dreams returns with a stunning full-length album that will totally blow your mind gently. ’She’s equal parts Bush and Bjork,’ as Dan Carson of ThisfakeDIY put it, ‘but no-one currently comes close to Aphir in her field of ‘dreamchoral’. You can get the digital album and the limited handmade honeycomb CD edition at alternateaudio.bandcamp.com/album/holodreem. Shaped by his experiences as lead singer and guitar player of We Are From Pluto and his deep house productions under the alias of Ludvik Nehrig, Bielefeld based artist Rosi turned his bedroom studio into the creative lair for his new solo venture. Walking the line between cold wave and indie pop and obscured by post punk and 80ies sound, Just Another Animal presents not only a profound mixture of styles but a deep emotional voyage right into the soul of darkness and back out again. Get the limited cassette edition and/or the digital album over at alternateaudio.bandcamp.com/album/just-another-animal. The unspeakable master of the post-modern Renaissance lute tkalec returns after his full-on debut album Stowaway with another five pieces settled somewhere between folk-rock frenzy and pop poetry. Energy-laden and resonating with a critical undertone, the Gentleman Robot EP even more than its predecessor addresses issues and discomfitures of the modern world in tkalec’ typical and unparalleled style that always staggers between socio-political satire and fable, and whilst his songs draw especially the live audience in with their trippy and adventurous nature, we hope this 20-minute ride with the magical catalogue number 007 will also delight you through speakers. 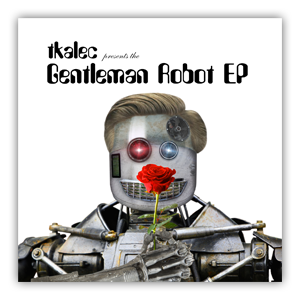 Free digital download and cheap fake vinyl CDs at alternateaudio.bandcamp.com/album/gentleman-robot-ep. If you even feel the slightest affection towards 70ies progressive/psychedelic rock, chances are you'll fall in love with The Cosmic Owl instantly. After their acclaimed debut album Surreality, the US outfit around mastermind Johnathon Pendall present their follow-up masterpiece Eternal Halls Asunder, and anyone with a taste for powerful guitars, beautiful songs and analogue synthesizers should really consider aiding their dusty sonic memories with this fresh piece of music. 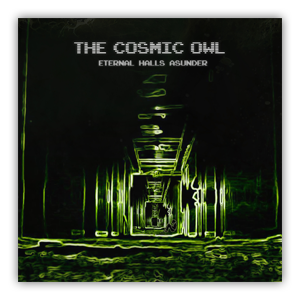 Free / pwyw download at alternateaudio.bandcamp.com/album/eternal-halls-asunder. 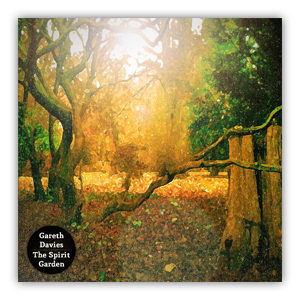 Gareth Davies, originally a blues/metal guitarist turned acoustic singer-songwriter, takes us into his sonic bower of songs inspired by nature and poetry on his 10-track debut album The Spirit Garden. With a leaning towards old folk themes and eastern mysticism, his honest and beauteous poetry balances the frail virtuosity of his guitar playing; and whilst resemblances with the acoustic consciousness of the 60ies spring to mind, one cannot help but wonder why such music this is so scarce nowadays. Get the limited CD or the digital album over at alternateaudio.bandcamp.com/album/the-spirit-garden. 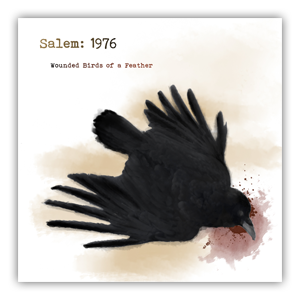 You can get the digital album at alternateaudio.bandcamp.com/album/wounded-birds-of-a-feather. 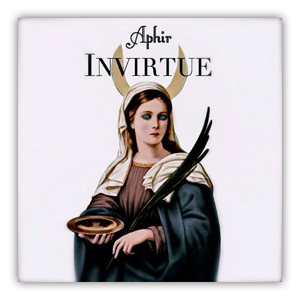 If there was a true sonic description of ethereal, it could certainly be found within this beautiful EP from Australian singer Aphir. Her voice only, yet in manifold layers and variations, takes the enchanted listener far away with four songs and a haunting journey through the clouds of passion and mystery. Hailing from Washington DC, taciturn furnishes a half-electronic mixture of laid-back grooves and tender melodies with his genuine poetry of unparalleled ease and beauty on his self-titled debut album on Alternate Audio. 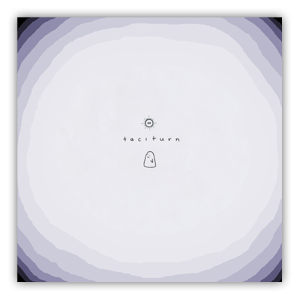 Free / pwyw download over at alternateaudio.bandcamp.com/album/taciturn. 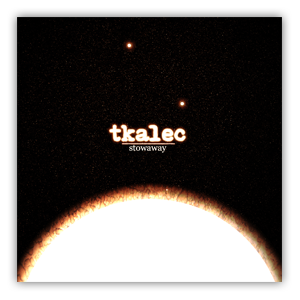 Although the mere notion of a lute playing singing songwriter alone is frightening to some, we nevertheless present the full sonic recreation of this strange compound history put together in tkalec‘s inaugural 11-track journey that spans three-quarters of an hour. The digital album also comes with a very (trust me, very) colourful 48-page pdf booklet that includes all the lyrics and many illustrations, all thoroughly amusing and/or disturbing. The booklet is also available in real. Free download of the digital album and booklet and/or the mesmerizing booklet in real at alternateaudio.bandcamp.com/album/stowaway. If you wish to get in touch to send us your demos or just say hi please write to hq [ät] alternateaudio.net or send us a pm via soundcloud or facebook. In order to purchase our releases please check out our store over at Bandcamp. You'll find all of our releases there and a bunch of them even for free.